I must admit, working as a prep cook has been a good influence on my home cooking. The ease of making this at work encouraged me to make it as the main dish for the week. Ratatouille, if you are not familiar with it, is a French vegetable stew. It can be thinly sliced and presented in some pretty fashion, or roughly chopped into even sized pieces for quick and easy cooking. Traditionally each vegetable is cooked separately, and then combined at the end. Too much work, if you ask me. So much easier to cook it all together at once. 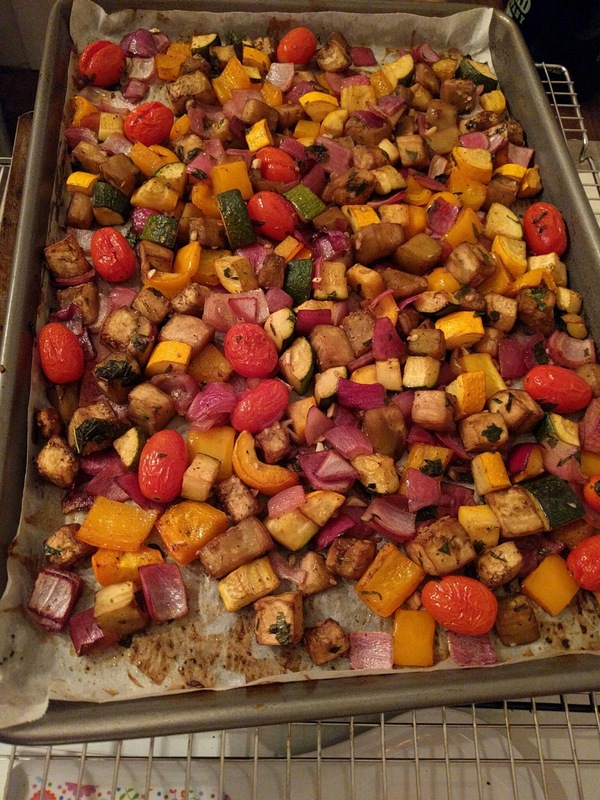 Bastardized ratatouille, I'll take it. 3. Whisk oil, vinegar, salt and pepper in a small container. Pour over vegetables, add basil and parsley. Toss to combine. 4. Spread out on baking sheets, single layer. 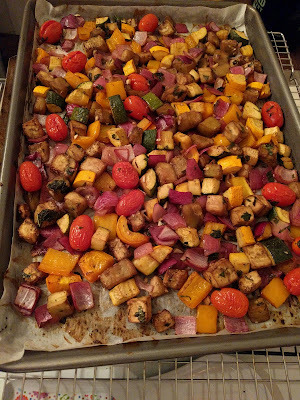 Bake for 20 minutes, stir vegetables and rotate pan. Repeat in 10-15 minute increments, until vegetables are tender. Allow to cool before storing in air tight containers.